My favorite Twitter management tool HootSuite has made the announcement that they are going to start offering different plans for using their service. New users from now on will have to choose a plan (with the option of a 30 day free trial), and current users will have to select a plan sometime in the next week. 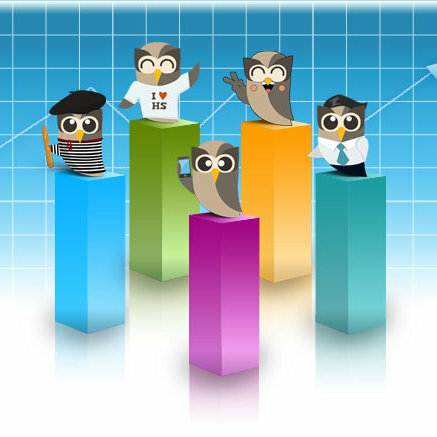 Before we look at the plans, let’s think the best HootSuite features that you can still use for free! For each tab that you create, you can have up to 10 streams on each. This means for each Twitter account you manage, you can have a tab with your basic account information (Home Page, Direct Message Inbox, Direct Mentions, Favorite Tweets, Twitter Lists, etc.). Using your Tabs, you can create streams for specific keyword searches, including those for your own name, blog, brand, and products to keep an eye on what is being said about them on Twitter. You can schedule updates for your Twitter accounts as well as other networks for future dates and times. You can monitor your Pending Tweets by creating a stream on one of your tabs. Looking for something more specific in one of your streams? You can filter your stream using keywords, and also by Klout, so you can see updates by the most influential people on Twitter in a particular list, keyword search results, etc. Now that you know some of the best uses of HootSuite that are still free, let’s take a look at the plans and premium features. The above shows the pricing for the Freemium Pro Plans for HootSuite. Here are some additional details about the features included in each plan. So first of all, let’s look at what you can still get for free. Under the free plan, you are allowed to manage a total of five social networks, and have one RSS feed automatically updating your accounts. I would say that the average person could easily have five accounts if you include one Twitter profile, Facebook personal profile, Facebook fan page, LinkedIn, and MySpace as well as have one blog to add as their RSS feed to auto update these accounts (although I personally prefer to use the attach link option on each of these networks to have more eye catching updates). With this plan, you will be able to manage unlimited social networks and have 10 RSS feeds. You will also be able to use HootSuite at this level ad free. This is probably the one I will go with, as I have 14 accounts on Twitter alone, not counting my other social networks. I could use more than 10 RSS feeds, but I do have an alternative service I can rely on for those. This is the highlighted “best” option. You can manage unlimited social accounts with unlimited RSS feeds, no ads, one team member to assist you with your accounts, and priority support from HootSuite if there are any problems. With the Gold Plan, you get unlimited accounts and RSS feeds, four team members, no ads, priority support, and enhanced statistics including Google Analytics integration with custom URL parameters. This is the best of the premium plans – you get all of the features of the Gold Plan with a total of eight team members. You also can take advantage of custom vanity URLs with Ow.ly Pro for an additional $49.99/Month. If you need even more features, there is the Enterprise Plan for larger businesses and corporations. You get unlimited everything mentioned in the plans above, enterprise support, VIP training, and 10 seats to a HootSuite certification program for the *low* price of $1,499/Month. I must admit, the certification sounds interesting though – the HootSuite Dashboard and Social Media Certification program is $47/Month (exclusive of any of the above mentioned plans), and will allow you to become a HootSuite pro. So, if you’re like me and don’t want to pay for more than the Bronze plan, how do you compensate for the other features that you are going to miss out on? Twitterfeed allows you to do what the RSS feed in HootSuite allows – you can have unlimited RSS feeds auto updating any number of Twitter, Facebook, and other social networks at no charge. Unfortunately it does not work with LinkedIn as of yet like HootSuite does. I don’t know about Analytics integration, but if you want to have stats for the shortened URLs you share, you can always use Bit.ly. You can check the stats of any Bit.ly URL without an account by adding info to the URL: http://bit.ly/info/hootpro. And, as you see with this URL, you can customize the Bit.ly URLs also. Finally, if you refuse to pay, you can use other Twitter management tools such as Tweetdeck, CoTweet, and Seesmic to help you keep track of your social media activities. 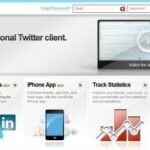 This post on Twitter tools offers a list of several comparison articles between the different services so you can decide which one is best for your needs. Do you use HootSuite? What plan will you choose, or will you switch to another tool? And if you’re not using HootSuite, will you give the 30 day trial a go to see if the features are worth the monthly pricing? What other features would you like to see in the premium plans to make them more worthwhile?